NOTE: Due to high demand seating is no longer guaranteed at this event! Center, to the Goodrich C. White Hall Auditorium, located at 301 Dowman Dr. Atlanta, GA 30322.
gate on Dowman Drive. A parking fee of approximately $5 may apply. Walk 1 minute to venue. To help sponsor this event, click here for more information. Atlanta still contains original forest—a priceless asset. Remnants of the original forest, including old growth features, can be found from public greenspaces to backyards. Eco-A will lead walks in special Atlanta greenspaces inducted into the Old Growth Forest Network — click here to view our walks and outings schedule for 2017. 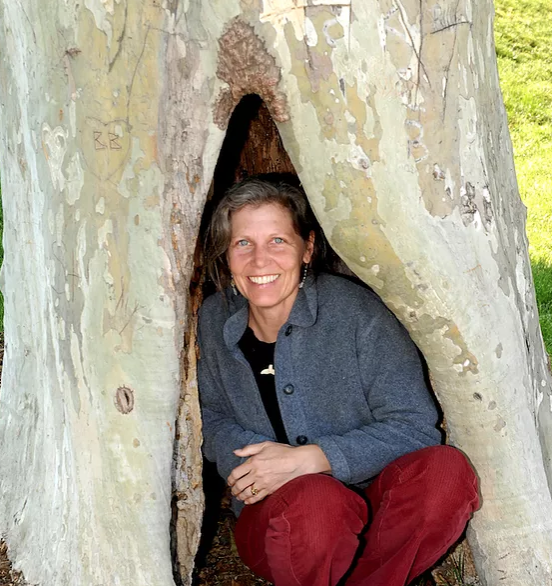 Biology Professor Emeritus, Joan Maloof, retired from teaching at the University of Salisbury in Maryland in order to found the Old Growth Forest Network, dedicated to ensuring Americans in every state have the opportunity to value old growth forests in their communities. Joan’s engaging perspective is a welcome addition to the global dialogue on forest value. Her well-known books include Teaching the Trees, Among the Ancients, and recently published Nature’s Temples: the Complex World of Old Growth Forests. and to our partners City of Atlanta, Friends of Adams Park, Fernbank Museum of Natural History, Friends of Briarlake Forest, Georgia Native Plant Society, Morningside-Lenox Park Neighborhood Association, Lullwater Conservation Garden, Park Pride, Rock Creek Watershed Alliance, South River Watershed Alliance, Trees Alive, Trees Atlanta and West Atlanta Watershed Alliance.